It’s #FestivalSeason, and you know what that means – goodbye paycheck! It’s time to splurge on all the latest festival fashion trends so you can show up to Coachella looking on point. 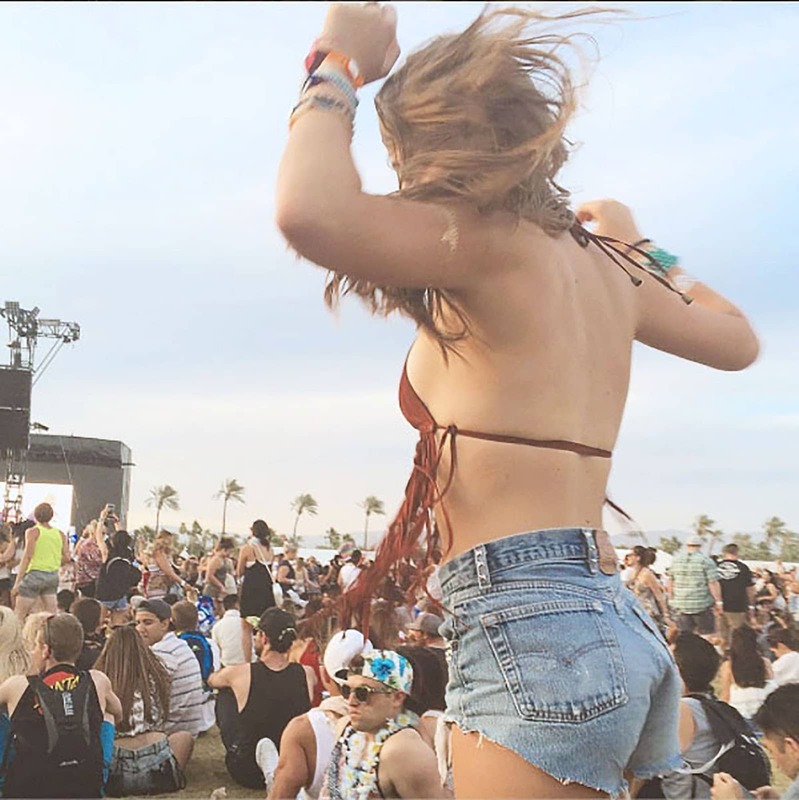 With other festivals like Pemberton, Lollapalooza, Outside Lands, and more following close after Coachella, this A-List guide to festival fashion essentials is sure to be your best friend in the next few months. The first trend that we’re seeing is those ultra cool vintage band tees. Whether it’s the $28 Brandy Melville tees or another nice $80 name brand distressed tee, they are the hottest craze right now. But don’t be shy to ask mom or even dad if they have some fun vintage shirts to whip out of their closet from their youth; their closets can sometimes pleasantly surprise you. Also, don’t be afraid to buy an inexpensive Brandy shirt and make some strategic rips and cuts. The next hottest festival trend is fringe. What goes around comes around and that is so true with fashion, too. Fringe jackets, fringe skirts, fringe shirt, fringe purses, you name it, fringe is going to be a part of festival wear so embrace it, you little flower child. The next trend is a classic that you can play up however you want. The basic leotard (cool options available at Urban Outfitters) and ripped up jean shorts can become as customizable as you want. From lace to leather leos, from chunky to dainty jewelry, from body art to excessive jewelry, this look becomes 100% your own work. Flowy florals are your friend. Remember that. Come time for the heat, you might not want to be in skin tight clothing, moshing in the Sahara tent (PSA: you’ll leave wondering if it’s the Sahara Desert sometimes). So whip out the florals in every shape and form and dance around like festival fairy you are. Florals look great in loose fitting shirts, fun flowy skirts, dresses, shorts, and so much more. Don’t be afraid to experiment with patterns this festival season. Velvet is going to be out to play this year for sure. Look to Brandy for some cheap velvet pieces to spice up your festival wear and let the compliments flow in. Velvet pieces add just the right amount of texture to an outfit that allows you to dress it up anyway you want! The fanny pack is back. Here is why you need one: don’t make yourself an easy target for pickpockets. Keep your cash, ID, keys and cell phone close with a belt bag or fanny pack worn around your waist in front. Make your fanny pack insta-worthy by sporting the tie dyed, neon color or tribal knit trends! Some affordable options are available online at Forever21! Your feet will get filthy. To keep your feet comfy and yourself trendy you will need to invest in gladiator sandals, white vans, or combat boots. 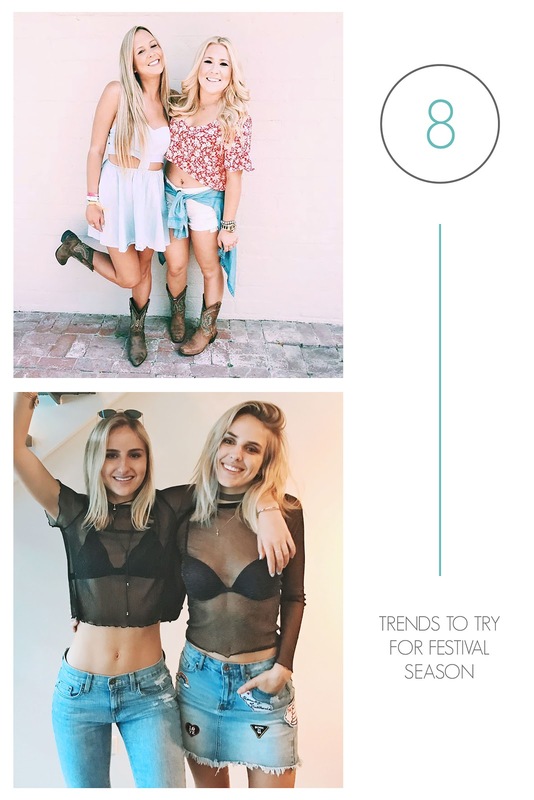 Up next are some festival fashion must haves. First, you need a bandana. Whether this is part of your fashion statement or just to cover your mouth and nose from the dirt flying around, it is essential. Especially by the last day, you do not want to be caught up in the hurricane of dust and sand. Without the lifesaving bandana you will be coughing up in black bunches of sand for weeks to follow. Going off of that, you need sunglasses. Again, whether they are a fashion statement or for your own protection, you need them. You are inevitably going to get dirt and sand in your eyes so your eye wear will block more than just the UV rays. Also, sunglasses are a convenient way to always look the part of chill and trendy festival fashionista. Finally, you also will thank yourself if you bring one of those ever so fashionable floppy hats. They might be overdone, but when the midday sun blares down on you, it’ll be glad to have the shade provided by this piece. Are you ready for festival season? What are you wearing? 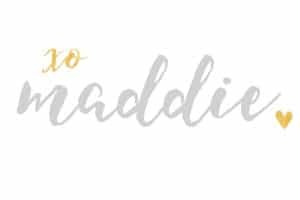 If you’re going to any festivals this season then you definitely want todownload this FREE comprehensive festival packing list that I put together for you. It contains all the things you need and tons of things you’ll want to make it the best festival weekend ever. 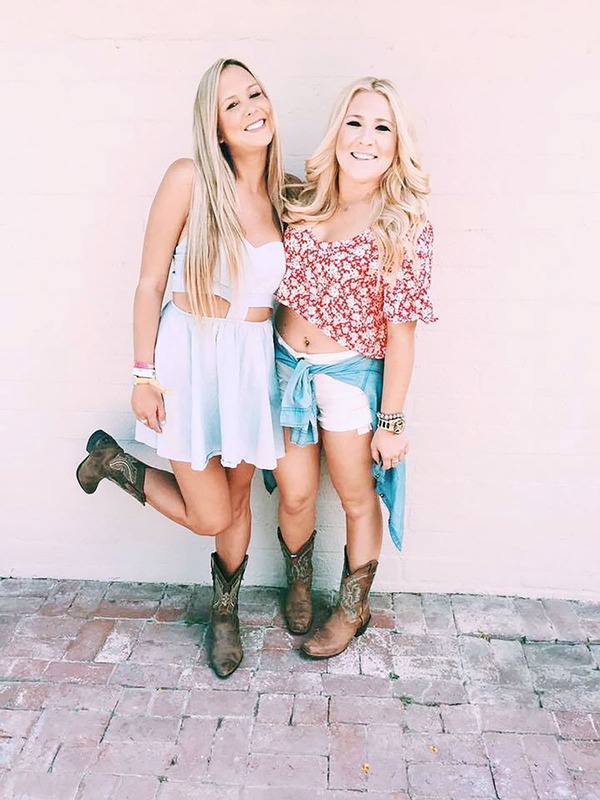 And, we’d love to see your #festivalfashion pics – so tag us! This entry was posted in Members Only: A blog for chics and Greeks alike. and tagged Festival, sorority trends.